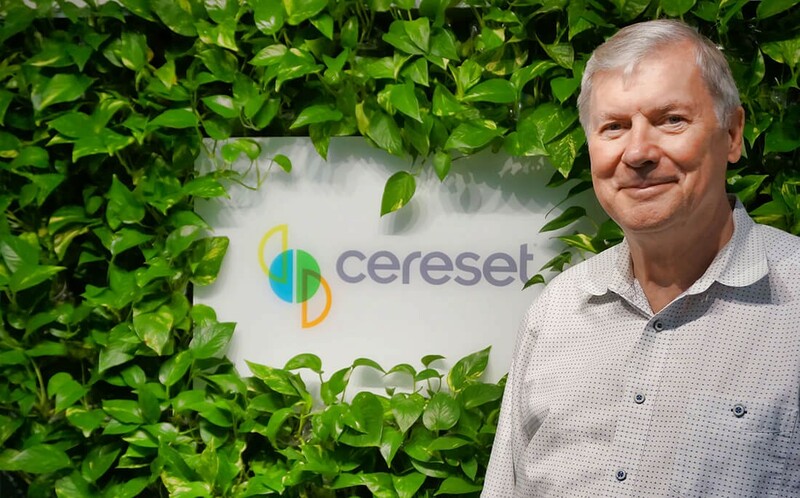 I had the pleasure of interviewing Lee Gerdes, the founder of Cereset, a wellness company that helps clients manage stress, restore hope and achieve restful sleep. Lee invented the Cereset ™BrainEcho™ technology to ease his PTSD and wound up helping 130,000 people worldwide. He is also the author of Limitless You: The Infinite Possibilities of a Balanced Brain, which chronicles his brutal assault and relentless pursuit to restore hope. I was working as a computer engineer and pastoral counselor in San Francisco in the 1990’s when I was viciously attacked. As I locked the church gates one night, four youths attacked me from behind — one with a baseball bat striking multiple blows on my head. In just a few minutes, everything in my life changed for the worst. From those few minutes, and for many years that followed, nothing helped me fully recover. I was unable to focus. I had paranoia, depression and trouble sleeping. I tried anything I could find to relieve my symptoms and end the rage that built inside me, but nothing worked. I felt hopelessly trapped in a world ruled by post-traumatic stress disorder. After 8-years, I decided to draw on what I knew as a software engineer and began to “work the problem” by studying quantum physics, the brain and neurotechnology. Through my research, I discovered my brain had become stuck in an unbalanced state, which resulted in needless fear, anxiety and sleepless nights. Developing technology I found a way for the brain to recognize this imbalance, correct itself, heal and return to its natural balanced state. It was only after I began this journey and found success in healing myself that I discovered my true career path had been chosen for me to help others. I initially invented Cereset BrainEcho technology to help resolve my own compromised life and the challenges I personally faced. Once it was clear my solution could relieve my PTSD symptoms, others began to take notice and begged me to see if it could work on them too — it did! People who experienced concussions, trauma and stress began seeing positive results on their mood and quality of sleep. After overcoming the personal challenges related to my own health, I discovered yet an entirely new challenge was to try to educate others about this new, non-invasive technology that can help people naturally. This was a huge battle because any new idea, especially in the health and wellness arena, is often viewed skeptically and people often refuse to accept the results even when the proof is in front of them. I found that while some critics simply wanted more data or proof, many rejections were rooted in fear. They were worried that my disruptive idea to help people naturally could rock the status quo which they’ve already learned to work within. I have learned that slowly over time, people do come to accept new ideas, but it requires huge dedication, steadfast effort, and self-confidence to persevere. Can you share advice to other healers to help their patients to thrive? I have one main piece of advice for other healers: When you are working with clients, keep your explanations simple and focused on the top 3–5 most salient points. Most people are looking to you for answers and if they trust you, they don’t need to know all the details they just need to know the bottom line. In setting up our Cereset Franchises, we intentionally created client sessions to be delivered by experienced tech coaches who are caring healers, but not necessary computer engineers. This enables them to educate people about the Cereset process without overwhelming them. Personal stories may help, but they have a way of coloring the reality of what they represent. When a healer spends more time talking about their personal story than the solution or the proof that their solution works — it may be a red flag. Testimonials are fantastic, and my own story is one example, but it’s important that solutions are supported by clinical research data. In my case, my Cereset BrainEcho technology has been clinically studied numerous times by Wake Forest University and the United States Military. Without clinical research data, testimonials may falsely indicate a truth without that truth being tested in a scientific manner. One of my favorite sayings is, “Perseverance through suffering is the birthing process of helpful healing.” It is not an exact quote, but it is rooted in the Bible and reminds me that there is no way to know a need greater than experiencing it. The brutal beating I experienced and the eight years I struggled through sleepless nights, paranoia and depression gave me an obvious need to heal. That need led me to try to understand how my brain had been rearranged functionally. The moment that baseball bat connected with my head, my brain became unbalanced and in a way it became stuck out of balance. But through my research and engineering mindset, I discovered it was possible to help the brain heal itself and now I am helping people around the world who feel the same kind of despair that I once did. Looking back now, I see the attack as the most rewarding thing that has ever happened to me in my life. I know that I can help millions of people whose brains are unbalanced due to trauma caused stress. As I mention in the book, Global Chorus, trauma is something we all experience whether it is through a personal experience, seeing a close friend go through hard times, or even watching something on the news. In a world more connected than ever, the downpour of trauma into our brains is torrential. Imagine how you personally would benefit if those within your own sphere of influence had brains working at their natural optimal balance. People would be calmer, with less anxiety and be able to better manage their stress. They would get restful and restorative sleep every night and wake up feeling refreshed and ready for new challenges. Now expand that optimization to other individuals and leaders, like political leaders, around the world. We would be living in a different world if we all have reasonably balanced brains. Fear would be replaced with understanding. Cereset is on the major social media platforms and we invite people to visit our website at https://cereset.com/ to see more information and sign up for our newsletter.